Edmund Burke, Irish philosopher and statesman, once said: “In history, a great volume is unrolled for our instruction, drawing the materials of future wisdom from the past errors and infirmities of mankind.” Likewise, in our Christian faith, history plays a vital role in continually informing the living out of our faith, as we find gems of insights by looking at the records and writings of Christians who have gone before. A case in point is the oft-told Evangelical experience of Methodism’s founder John Wesley, on 24 May 1738 at Aldersgate Street in London. Famously, he recorded that his heart was “strangely warmed” and he felt that he “did trust in Christ; Christ alone, for salvation”. John Wesley himself shocked everyone when he declared to his friends on 28 May 1738, days after Aldersgate, that he had not been a Christian five days earlier, before 24 May. This provoked the deserved reply from a certain Mrs Hutton: “If you was not a Christian ever since I knew you, you was a great hypocrite, for you made us all believe you was one” (Heitzenrater, Wesley and the People called Methodists, P82). Roy Hattersley, political scientist and historian, has argued that 1738 was not Wesley’s “real spiritual turning point”. 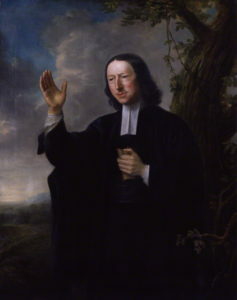 Rather, 1725 was when Wesley discovered that “without holiness no one will see the Lord” (Hebrews 12:14, NIV) through his reading of Jeremy Taylor’s book, Rule and Exercises of Holy Living and Dying whilst he was an Oxford undergraduate preparing for Anglican Holy Orders. “Wesley’s life was changed by what he came to believe about ‘inward holiness’. The events of 1738 merely refined and confirmed the revelation of 1725.” (John Wesley – A Brand from the Burning, P138) Many today would agree with Heitzenrater that Aldersgate was more likely Wesley’s “own experience of assurance” (Wesley and the People called Methodists, P80). Ted Runyon’s advice seems best: Not to discard Aldersgate but to recognise its importance and its “ambiguity” for today (‘The Importance of Experience for Faith’, P105 in Maddox’s 1990 Aldersgate Reconsidered). Consequently, the chronology of Wesley’s life and ministry displayed in the Wesley Garden at the Methodist Centre (Barker Road) lists 24 May 1738 as Wesley’s ‘Evangelical experience’ without declaring it as his conversion, assurance or Pentecost! Aldersgate was a decisive Gospel experience for John Wesley, regardless of whether he was converted to Christ then or earlier. It is still important because it led to something great: Wesley’s impactful ministry to the unreached masses. This attempt to learn from history helps us not be judgmental with those who do not experience Christ as we do. 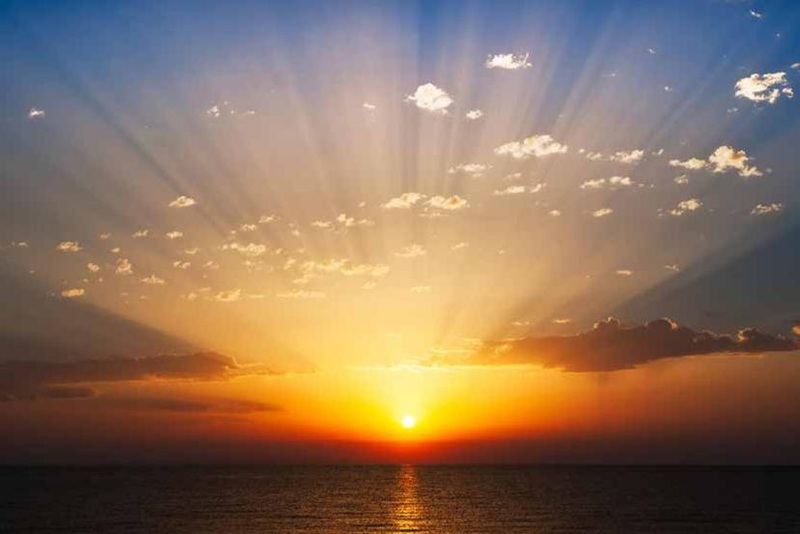 It helps us see clearly, that while many can claim to have one decisive encounter with Jesus Christ, others have several spiritual encounters with Christ before it finally sinks in. Others still have no great spiritual experience; they simply grow gently into a life of great commitment to Christ. Experiencing Christ should not be stereotypical or programmatic. Hence, we learn from history not to repeat the mistakes of history. Our listening to history also helps us to correct misunderstandings that we may have, such as insisting on a dogmatic conversionist reading of Wesley’s Aldersgate experience. History demands that we still keep an open mind. Want to mine the rich gems of history, especially that of local Methodism? 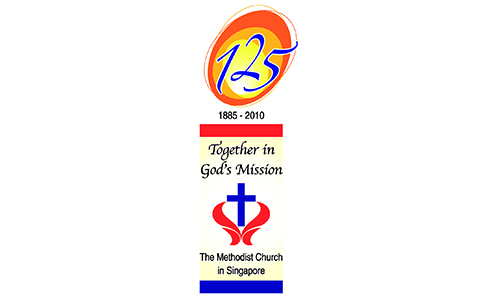 A great resource is the Archives & History Library (AHL) of The Methodist Church in Singapore (MCS). Some important reference materials held by the AHL include original documents, microfilms, audio-visual media, photographs, and valuable books. These, together with a growing number of Methodist publications, a collection of John Wesley’s writings, and books on Methodist History on South East Asia, General Church History and Methodist doctrines and theology, will provide researchers plenty of scope for their work. experience during the Japanese Occupation in Singapore from February 1942 to September 1945, is also available for purchase at $20 per copy. 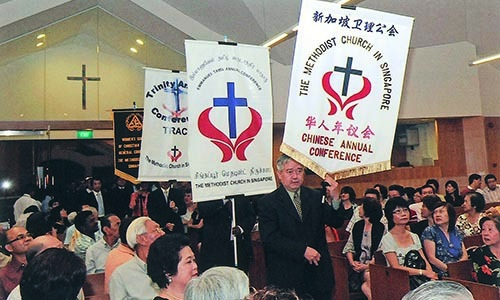 is Pastor-in-Charge of Covenant Community Methodist Church, and a member of the Council on Archives and History of The Methodist Church in Singapore.